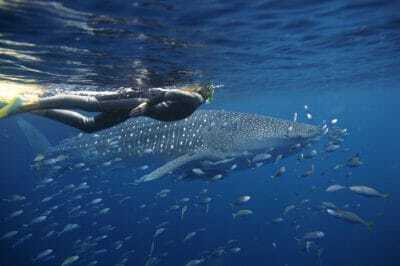 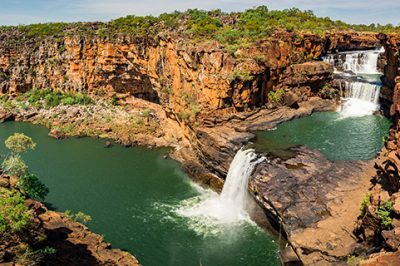 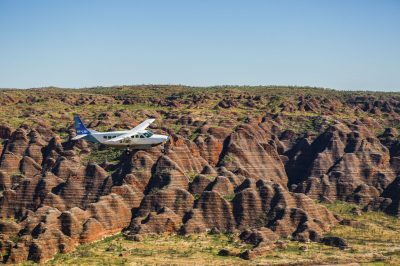 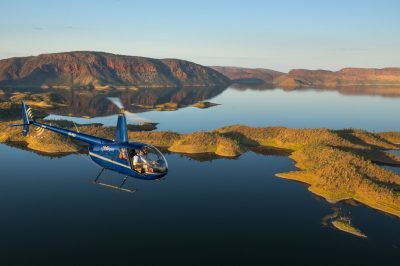 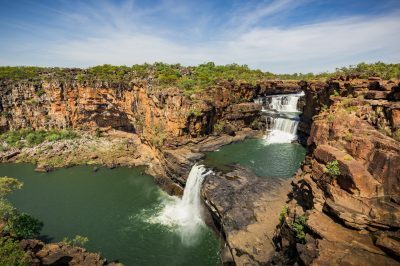 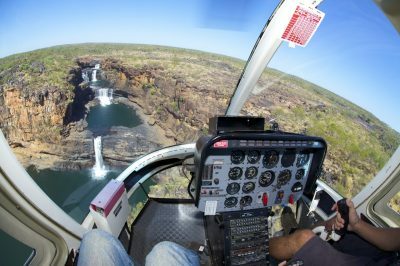 A 6 day, 6 night, unforgettable private helicopter safari exploring the stunning Kimberley and/or NT wilderness in true style. 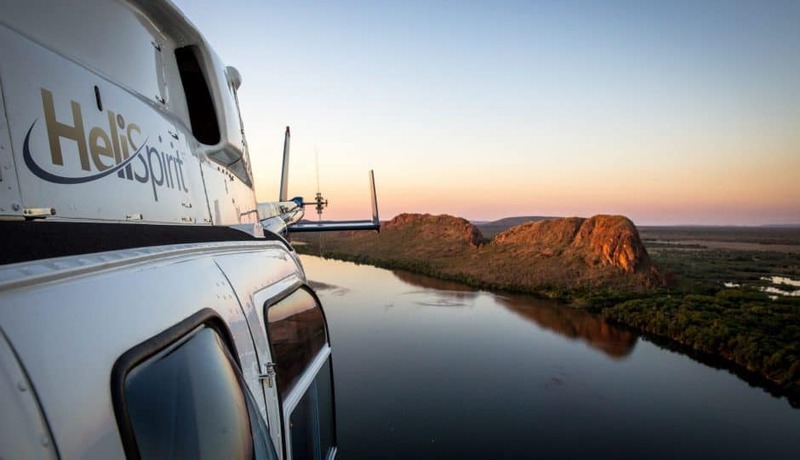 Enjoy spectacular views from your private helicopter. 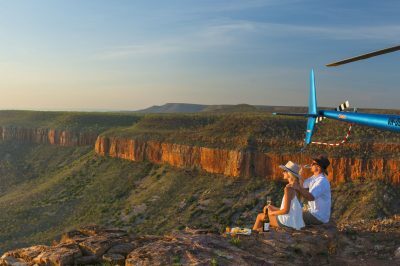 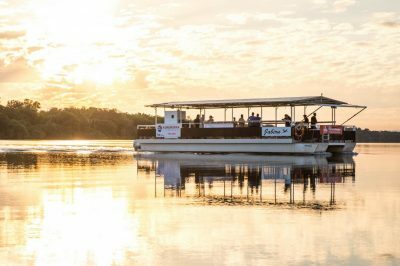 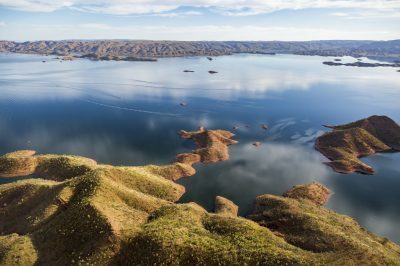 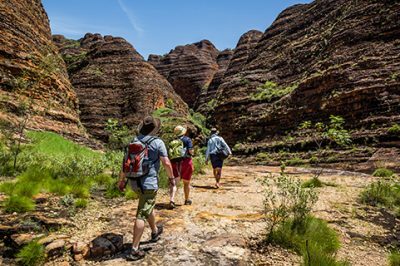 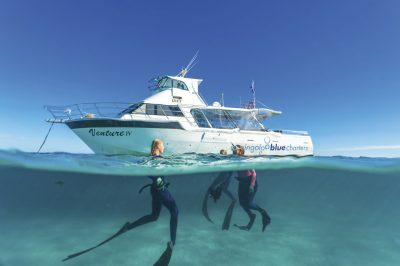 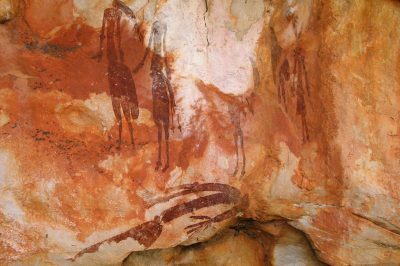 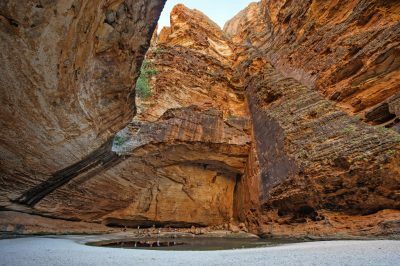 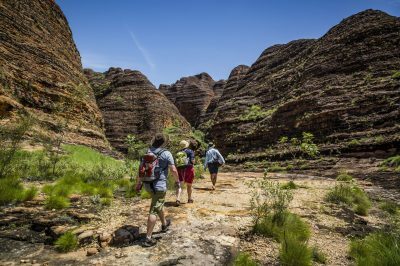 Land on a mountain pinnacle to watch the sunset over your favourite cold beverage, fish in wild rivers, view galleries of the oldest rock art on earth, soar through gorges and touch down to swim in secret springs and waterfalls. 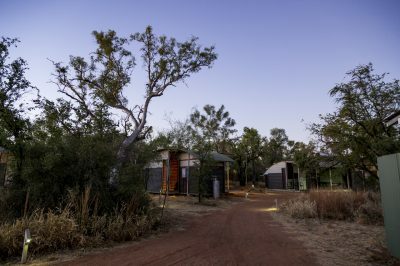 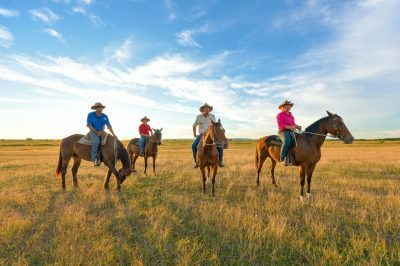 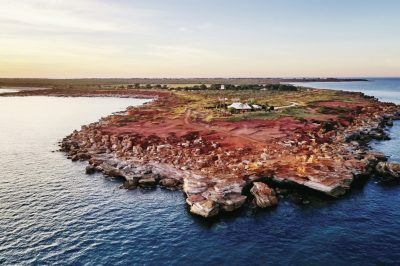 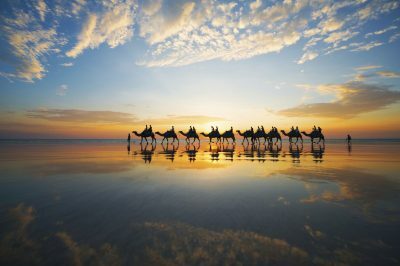 Your accommodation is in the region’s best luxury lodges and coastal wilderness retreats: All are unique lodges in exquisite locations offering diverse wilderness experiences. 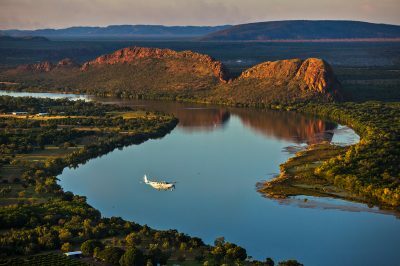 Freshwater East Kimberley Apartments Kununurra is our pre-tour accommodation. 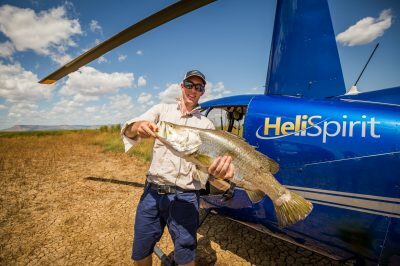 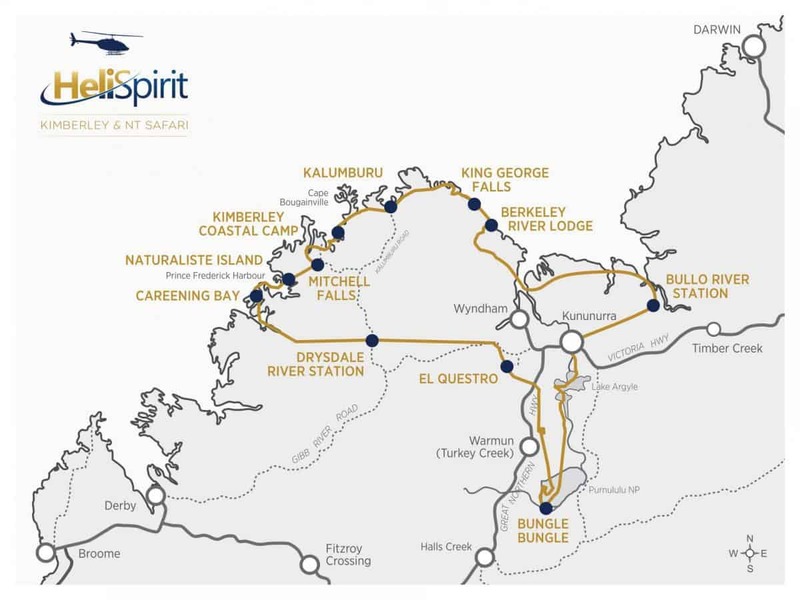 HeliSpirit Luxury Air Safaris operate from April through to September and are private. 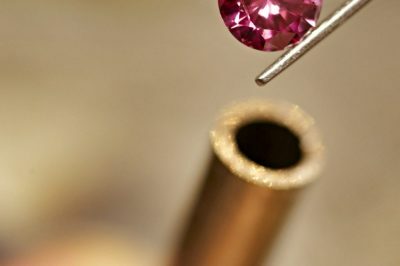 Contact us to choose the dates that suit you. Please see our Itinerary section for more information.